Next Tuesday is decision day for the plans to build 215 homes in Ludlow. If approved the houses will be built between Bromfield Road and the bypass. 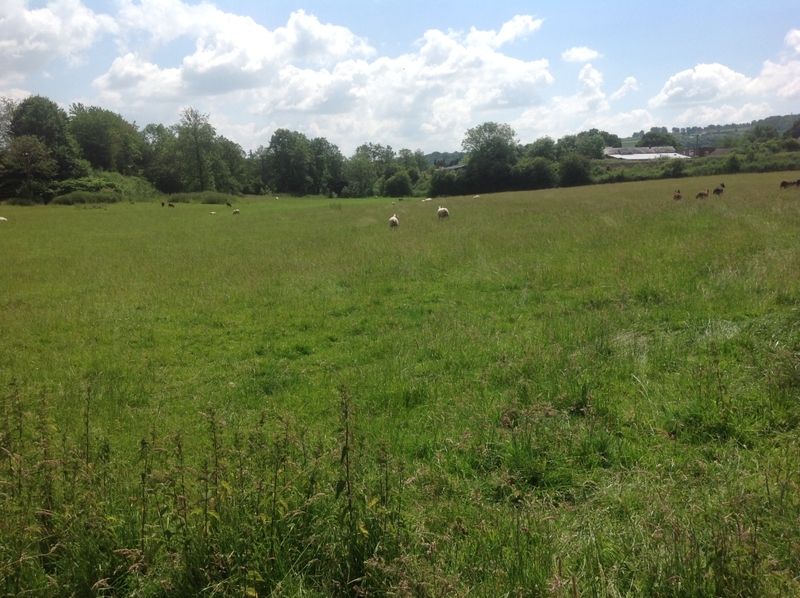 But Shropshire Council’s planning committee is not planning to visit the site of the most controversial aspect of the proposals. 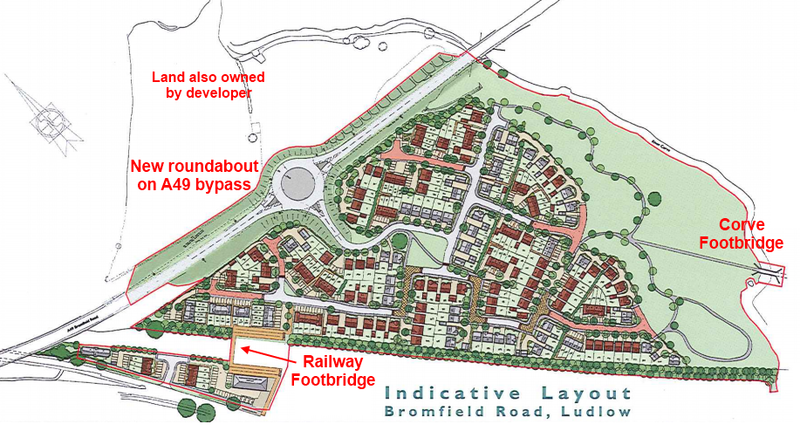 While there remain concerns about run off from the site contributing to flooding downstream in Ludlow, the main concern among nearby residents is a footbridge which will link the site with the peaceful cul-de-sac of Fishmore View. The footbridge will exit near a children’s play area and residents of Fishmore View are concerned that children will be less safe if this area becomes a through route. The new development will include a riverside park. This will become a popular dog walking area and people are bound to park on Fishmore View to walk across the new bridge. Fishmore View is a narrow road quite unsuited to heavy car traffic. Recently, 23 of 27 households on Fishmore View said they oppose the footbridge over the Corve. But Shropshire Council’s South Planning Committee will not be visiting Fishmore View before making its decision on whether to approve the housing and the footbridge. It’s standard practice for planning committee members to visit sites before deciding a planning application. Next Tuesday morning, the South Planning Committee will visit the site for a second time. When the committee visited last month, members could not gain access to the site because Network Rail would not allow them to cross the rail tracks. The access problem has now been resolved and the committee will be able to view the proposed housing site. But they will not be visiting Fishmore View to look at the potential impact of the footbridge. I’ve major concerns about this. How can the committee judge the impact of the footbridge if it has never been to Fishmore View? I worry that Shropshire Council is opening itself up to potential legal action if it approves a footbridge without first examining the site. The really bizarre thing about this is that there is almost no support for the footbridge. The local community doesn’t want it. Local councillors don’t want it. The developer has offered to take the footbridge out of the scheme. It’s only Shropshire Council planning officers that are promoting it and they are the ones saying the planning committee can’t visit the site. Note: I am a member of the South Planning Committee but I have no vote on this application under Shropshire Council’s constitution which bars members from voting on planning applications within their divisions.